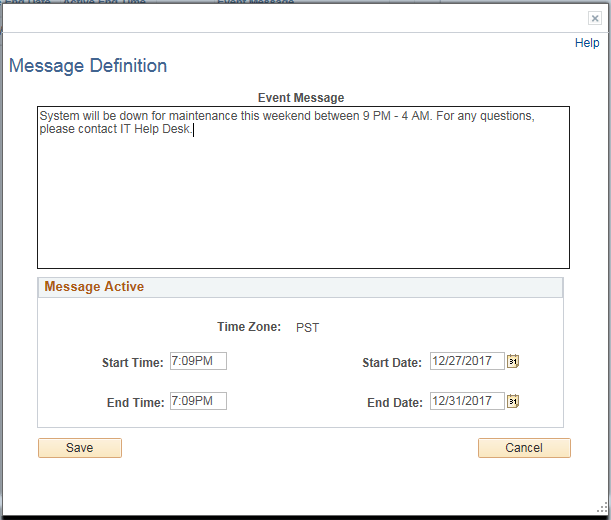 How do you notify PeopleSoft users about an event that has a system wide impact such as planned downtime or any other important update? Do you broadcast emails or post notice on internal portal or do you put a custom message for PeopleSoft login screen ? Here is how to put custom message on PeopleSoft login screen. There could be a totally different way that you use to send notifications to your end users but I found this PeopleSoft delivered SignOn Event message to be very useful. 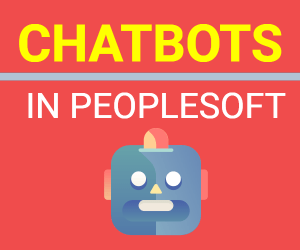 Other notifications via email or login page can be overlooked by users but this welcome message that is shown to user after they log into PeopleSoft application can’t be missed. 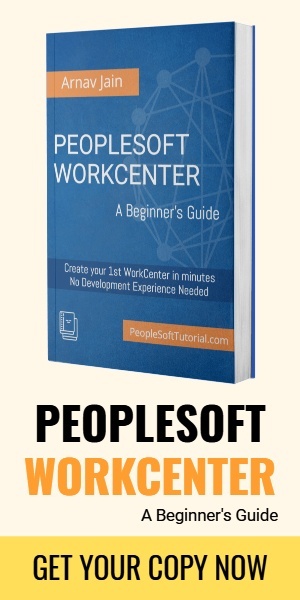 Here is how to setup Signon Event Message for PeopleSoft application. On this page, you will see all the event messages that are currently active or were active in past. To add a new event message, click on + button. For the message definition, add the event message (text only), start date/time and end date/time. Click ‘Save’. Your newly created event message will be added to the list. Click ‘Save’ again. Now whenever someone logs into PeopleSoft application, they will see your Event message first. User need to click on ‘Continue’ to continue using the application. Multiple event messages can be active at the same time and user will see all the messages every time they log into PS application until the End Date/time for the event message(s). Expired messages can be cleared out using ‘Delete Expired Messages’ button.